Taken with a wide angle lens - the floor raises up about 10'. We were doing imaging from the floor (before remote capability was available) using the TI-2 CCD camera at Cassegrain focus. Objects were ring galaxies. Cartwheel is rather far south DEC so the tube was over the polar axis to see over the dome rail. 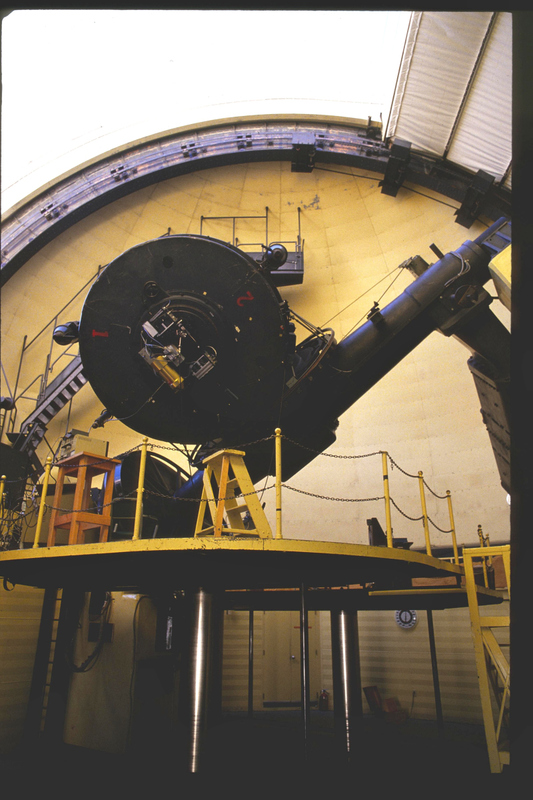 Guided via OAG or one of the two guidescopes shown, in the dark, on top a latter, with the platform all the way up. Fun. Late 1988 or early 1989.